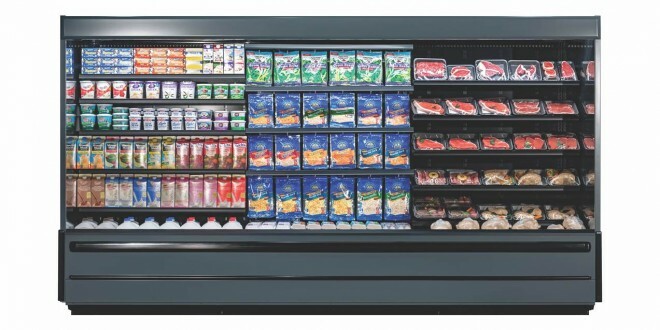 NORTH PRAIRIE, WI – October 6, 2016— Zero Zone, a leading manufacturer of refrigerated display cases and commercial refrigeration systems, announced today the introduction of the Zero Zone Reveal™ Merchandiser line of medium-temperature multi-decks. Zero Zone aims to exceed customer expectations with high-quality, innovative products and personalized support. The Reveal™ Merchandiser extends the range of merchandising options offered by Zero Zone, giving retailers a wider array of choices. These new, open multi-decks are complementary to the Zero Zone glass door display cases in style, merchandising characteristics, quality, and responsible energy performance. They come equipped with Zero Zone ChillBrite™ LED lighting, adding sparkle to retailers’ products and making them ‘pop’. The Reveal™ Merchandiser is ideally suited for effective display of dairy, deli, beverage, produce, and fresh meat products. For more information about the Reveal™ Merchandiser line of products, visit www.zero-zone.com. The Reveal™ Merchandiser line is manufactured by Zero Zone, Inc. Established in 1961, Zero Zone is a leading manufacturer of refrigerated display cases and commercial refrigeration systems for supermarkets, drug, dollar, and convenience stores. With display case plants in North Prairie and Waukesha, WI and a refrigeration systems plant in Ramsey, MN, Zero Zone also manufactures industrial refrigeration systems for cold storage, food processing, and ice arenas.